Does it seem like everyone is moving to Portland? Well, a lot of people are – particularly young people. 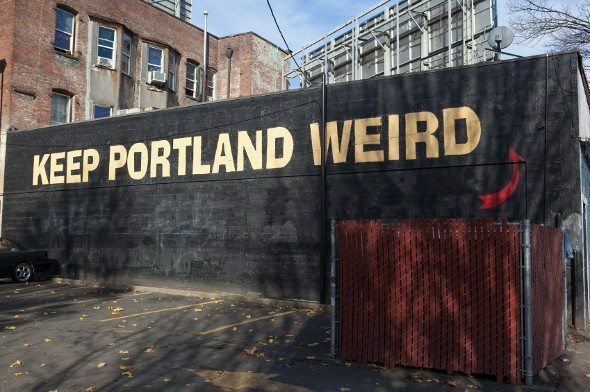 Thinking of joining the hordes moving to Portland? Here are 15 things you should know before you make the move. 1. There’s no sales tax. When you look at prices in Portland, what you see is what you get. There’s no sales tax to trip you up. That doesn’t mean that prices are low across the board – just easier to calculate in your head. Income taxes in Oregon are high, though, so you might find your tax liability increases after moving to Portland. You can always consult one of Portland’s top 10 financial advisor firms if you want an expert’s advice. 2. It really does rain a lot, but when it doesn’t it’s glorious. The rumors about Portland weather are true – it really does rain a lot. The days when it’s not raining, though, are beautiful and the whole city is out rejoicing. You can stroll through the public parks, bike across the bridges or sip craft beer on the patio of a bar or a friend’s house. If you’ve never lived in a city with gloomy weather you’ve never experienced the community-building feeling that everyone gets on sunny days. 3. Food trucks are there for you. 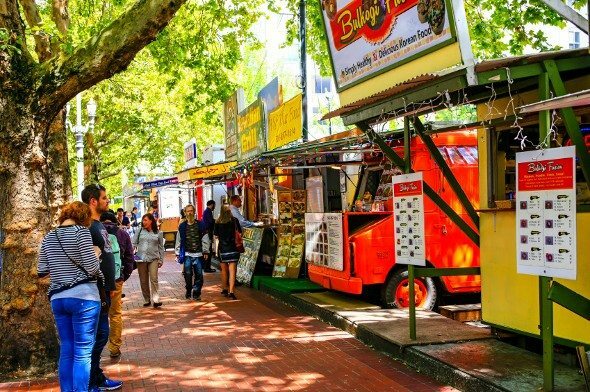 Anyone moving to Portland would be well served by doing a bit of research into the city’s culinary offerings, particularly the food trucks. That way, you’ll know which well-regarded trucks park where and you can plan your outings around them if you’re so inclined. Food trucks make it easy to grab a quick meal when you’re out and about or on your lunch break from work. 4. The dress code is casual. If you’re moving to Portland from the East Coast you might be surprised by the casual dress code in the Pacific Northwest. Some Portland inhabitants sport hiking gear like they just got back from a state park and others favor ripped jeans and vintage tees. Everything in between flies too. Many people sport tattoos and piercings. You can be sure that you won’t need to get dressed up very often if you move here. At the very least, you should save money on dry cleaning by moving to Portland, even if your rent is higher. 5. You don’t pump your own gas. If you live in New Jersey you’ll know the feeling. In Oregon, residents don’t pump their own gas. If you rely on public transit you won’t have to worry about this, but if you own or rent or a car it may take a little getting used to. 6. But you should know how to pump up your bike tires. Biking is huge in Portland and many residents commute by bike. Whether you rely on a bike to get to work or you just use one for exploring and running errands you’ll be glad to have one. 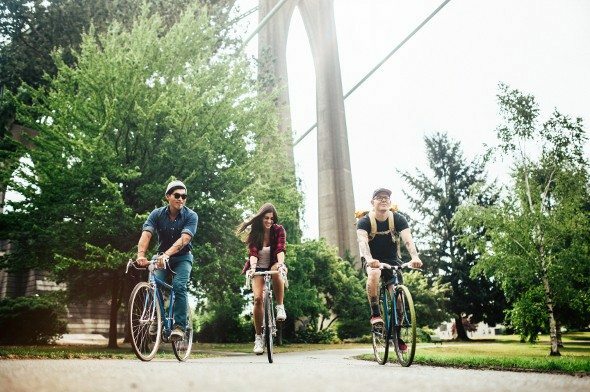 The relatively mild winters make Portland a great place for year-round biking. Powell’s bookstore is a “City of Books” in Portland that’s popular with locals and tourists alike. It’s easy to spend hours browsing the shelves. Of course there are other, smaller independent bookstores in Portand but Powell’s is more than a bookstore – it’s a city institution. 8. It’s the City of Roses. Portland isn’t called the City of Roses for nothing. The tradition of filling Portland with roses goes back to the 19th century. Today, Portland is home to the annual Portland Rose Festival. It’s also home to the International Rose Test Garden, a testing ground for new rose varieties that’s open to the public. 9. You should explore the rest of Oregon. 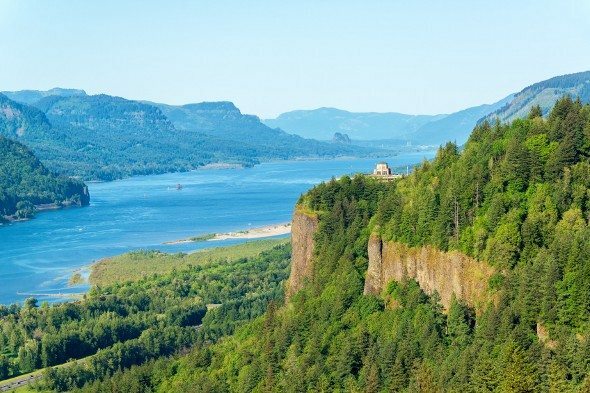 After moving to Portland you may get so caught up in the Portland lifestyle that you forget you’re in a state that has a lot to offer outside of Portland. If you can find your way to the mountains or the coast, though, you’ll be glad you got out of town. There’s plenty of natural beauty in Oregon. 10. It’s a site of urban innovation. Portland is always trying to do more to increase recycling, composting, biking and public transit. The city has an ambitious plan to reduce its carbon footprint and prides itself on being an urban laboratory. 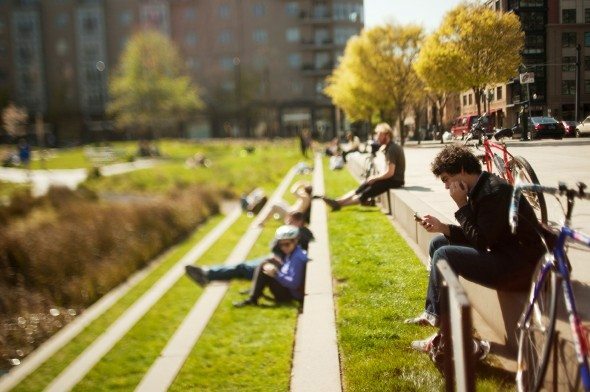 If you’re used to living in a town or city where the environment isn’t much of a priority and the city lacks a vision, moving to Portland will be a nice change. That spirit of innovation can be seen in the many artists, entrepreneurs and creative types who settle in Portland. 11. Coffee, wine and beer are everywhere. The cliche of the hipster coffee shop in Portland has plenty of basis in truth. 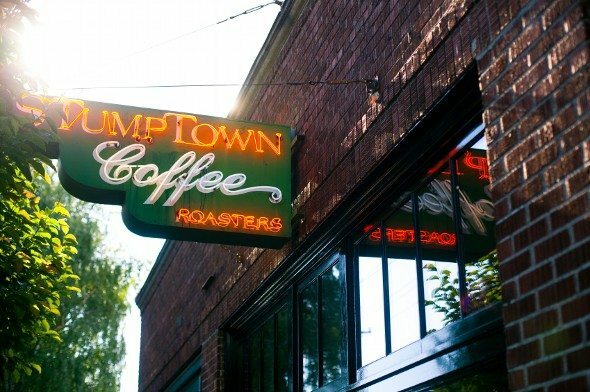 Artisan cafes and roasters dedicated to the best of coffee are easy to find in Portland. The same goes for beer, and Portland is home to many breweries whose wares you can sample and whose facilities you can tour. As Oregon’s wine sector has grown, Portland has also become more of a wine town, though beer is still king. In the City of Roses it’s easy to find people dedicating themselves to perfecting something, whether it’s coffee, bread or ice cream. Your job? Choosing your favorite local spots. 12. Choose your neighborhood with care. Portland is a relatively low-density city. It’s a good idea to choose your neighborhood carefully so you’re not schlepping across town to get to your favorite parks, shops and restaurants. Whether you rent or buy, though, housing in Portland is scarce. It’s good to have a list of neighborhoods you like rather than getting your heart set on just one. 13. There are no NFL or MLB teams. Sports fans should know that there are no NFL or MLB teams in Portland. That doesn’t mean it’s not a sporty town, it’s just that pro sports representation isn’t what you might think. Still, the Portland Trailblazers NBA team is popular, and the Portland Timbers represent the city in professional soccer. College sports are also big in Portland, so you don’t have to worry that there will be no one for you to cheer for. 14. Public education is struggling. Public schools in Portland aren’t equally resourced. That’s another reason to be careful about your choice of neighborhood. If you have kids or are planning on starting a family you probably want to do some research into schools before you settle down in Portland. Did you read or hear about that New Yorker piece covering the earthquake risk on America’s West Coast back in 2015? If so, you probably know that Portland and other western cities are overdue for “the really big one.” Depending on your risk tolerance, you may shrug this off, but it’s worth knowing before moving to Portland. Moving anywhere costs money. Packing supplies, rental trucks and relocation services all cost a pretty penny. That’s why it’s smart to start stashing money in a high yield savings account or a money market account the minute you think about moving. You can earn interest in the months leading up to your big move. Hopeful Portland homebuyers can take a look at current Oregon mortgage rates to get an idea of what mortgage terms are available. This might also be a good time to talk to a financial advisor. A financial advisor can help you navigate big life changes like a move to a new city, or just help you to meet your financial goals in general. A matching tool like SmartAsset’s can help you find a person to work with who meets your needs. First you answer a series of questions about your situation and your goals. Then the program narrows down thousands of advisors to up to three financial advisors who meet your needs. You can read their profiles to learn more about them, interview them on the phone or in person and choose who to work with in the future. This allows you to find a good fit while doing much of the hard work for you.